It seems like in the NOW, Marvel seems all about making it rain with number ones, which I guess makes us, the readers, strippers in this weird analogy of mine. 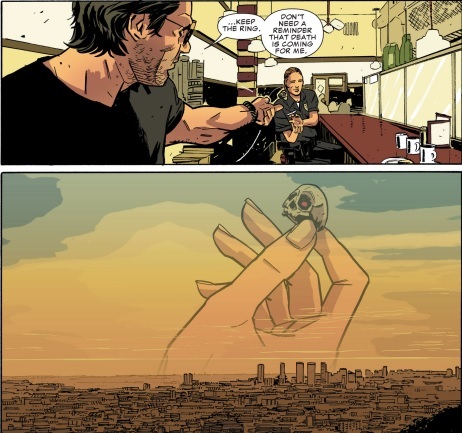 I know everyone and their mother will be talking about the new Ms. Marvel this week, so I’ll take a look at the fine gentlemen known as Frank Castle and Loki Odinson.Do either of Marvel’s gentlemen make me curious enough to see where things go or will I just take the money and run? In the past few years, Kieron Gillen took Loki from being a villain I was okay with to being quite possibly my favorite anti-hero in the Marvel Universe. So, I was hesitant going into this book, just because it would be the first time since 2009 that Loki would not be under Gillen’s influence. And while I have my problems with the book, Al Ewing’s Loki is every bit as charming as Gillen’s and early on in the issue Ewing pays tribute to Gillen when Loki compares music to magic (Phonogram/Young Avengers fans will know what I mean by that.) Ewing’s Loki is one driven by the mistakes of the past, ones he hopes to amend or erase and never repeat. This is a Loki who questions the truth of who he is and is convinced that if this new honorable version of himself is a lie, it’s a lie he’ll need to make the world believe, himself included. 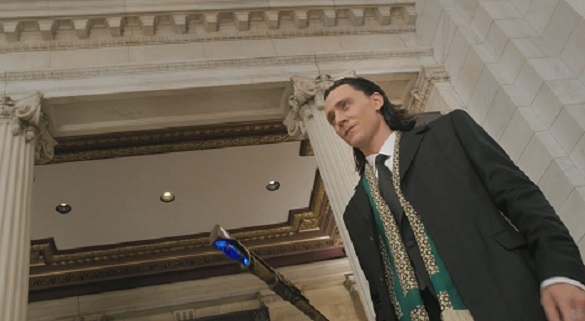 It makes for a very fascinating character study and Ewing throws a wrench into the works at the end by giving Loki’s past sins a physical form. 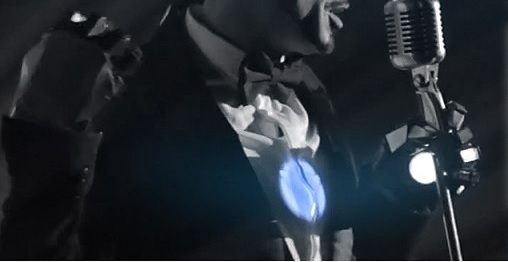 Where the book falters though, is in Ewing’s portrayal of the Avengers. They read as if they were ripped from the movie and while he makes the most out of making Earth’s Mightiest Heroes akin to their big screen counterparts, I wish they had more of the flair they received in their comic book series, because each character is flourishing in their own individual titles. 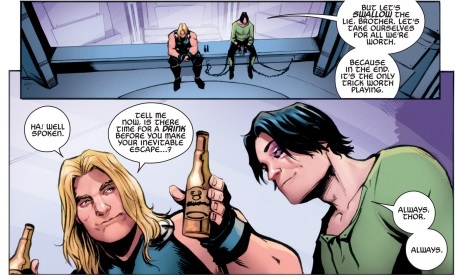 Thor fares perhaps the best out of all of them, but that may also be because he was possessed for most of the issue and had a change to bond with his brother at the end. Hulk is reduced to quoting lines from the movie however and becoming the brute he is there; that just didn’t work. At all. Lee Garbett is the artist for Loki’s new adventures and he does a fairly good job, but I miss Jaime McKelvie’s Loki already. The art team here just isn’t as creative as the one that worked on Young Avengers, but that could change in the coming months. My personal favorite panels of this issue were the ones where Garbett gets to draw old Loki, in an over dramatic and sinister fashion. I’m glad we haven’t lost the Loki of the last few years, even though he looks a little different now. I look forward to seeing where Loki goes with this new heroic persona he has taken upon himself and hope that this book is able to distant itself from the “making Marvel more like the movies” taste it left in my mouth. If Loki is one of my favorite anti-heroes, Frank Castle is definitely one of my least favorite. He’s a very one-note character, whose best stories are told in the formation of him becoming the Punisher in my opinion. He plays well off others though (as seen in Charles Soule’s Thunderbolts) and Greg Rucka used that to his advantage by making The Punisher more a force of nature than the main character in the last volume of The Punisher. Nathan Edmonson decides to do something similar but not entirely so. He spends most of this issue building up a supporting cast for Castle and showing what they mean to him. Never does it dip into cheesy territory, for Edmonson’s Castle is charming but distant and in fact reads almost like a Bruce Wayne persona. When he dons the white skull though, we see Frank Castle truly emerge and he is a force to be terrified of, both smart and unrelenting. Frank Castle has always been self aware of how damaged he is as a human being, but Edmonson would have us believe that change could be coming for the character, unless the life he finds himself stuck in time and time again ends up destroying any semblance of happiness for Castle. Make no mistake though, Mitch Gerads and his team are the stars here. His moody art adds a lot to the darker scenes and his characters feel inspired by David Aja’s art in Immortal Iron-Fist and Hawkeye (which are both series known for a similar style of personal story seen here.) The scenes in the dinner are warm and make you care quite a bit for these rag-tag civilians Frank has decided to familiarize himself with. You’d be hard pressed to call this art beautiful, but it is still quite enjoyable to look at. While I’m still not totally sold on the need for yet another Punisher solo series, Edmonson and Gerads did much better than I expected on their first outing by relocating him out of New York and building up a strong supporting cast. Bring on The Punisher’s war against the cartel, I have faith in these guys. All in all, a pretty classy week for Marvel.